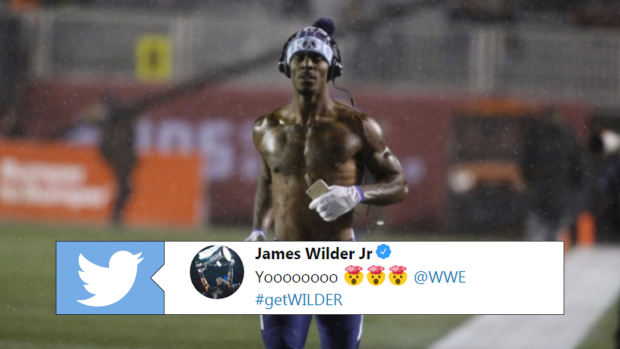 Anyone that watches CFL football (or is a Florida State football fan) likely knows about James Wilder Jr. The smiley running back has quite the personality, and he’s never been shy of the spotlight. The fact that he has officially been invited to tryout for the WWE is extremely entertaining, but it also makes a lot of sense. On Saturday, Wilder tweeted out a screenshot of the email he received from the professional wrestling organization. While this may seem too good to be true, TSN’s Matthew Scianitti confirms that he has been in contact with Wilder, and that as far as everyone is aware, it is in fact a valid invitation.